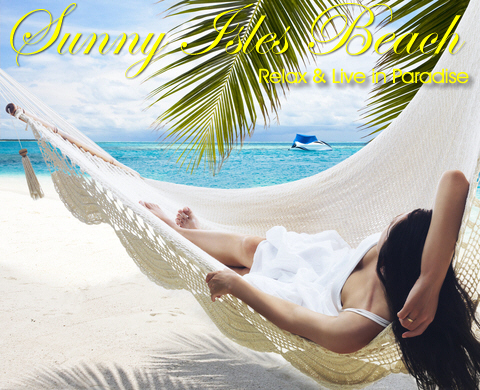 Sunny Isles Beach Condos and Condominiums. Sunny Isles Beach, Florida - Homes, Condos and luxury Condominiums in Sunny Isles Beach, Miami Beach. Oceanfront, Beachfront, Waterfront, Luxury Condominiums, Luxury Condos, Luxury Homes. Sunny Isles Beach is located at the NE corner of Miami-Dade County in South Florida with the Atlantic ocean on it's east side and the Intracoastal Waterway on it's west side. Sunny Isles Beach, also known as “The City of Sun and Sea,” is just over 2 miles long with one main road (Collins Avenue) running north and south through this oceanfront and waterfront community. This beautiful South Florida community is surrounded by luxury waterfront homes, golf communities, entertainment, fine dining, world class shopping and much more. With Bal Harbour to it's south, Aventura to it's west and Golden Beach, Hollywood Beach & Fort Lauderdale to it's north, Sunny Isles Beach is not only located in the middle of the finest in Greater Miami Beach living, it is also conveniently located close to many of South Florida's other exciting and cultural communities. This beautiful oceanfront & waterfront city also offers dining, shopping, parks, boating, water sports, and tennis - as well as the landmark Sunny Isles Fishing Pier. Sunny Isles Beach is considered by many as one of the most beautiful waterfront communities in all of South Florida. The community enjoys easy access to all of Miami Beach and the South Beach nightlife, downtown Miami, downtown Hollywood, Ft. Lauderdale via Collins Avenue or Interstate 95. World-class shopping is with-in arms reach with the world famous Aventura Mall and the Bal Harbour Shops all just minutes away by car. When it comes to dining and entertainment, the community is dotted with some of the finest restaurants in the Greater Miami / Miami Beach, Fort Lauderdale and South Florida areas. The population of residents was recently determined to be just 20,832 (as per the 2010 census). This is an increase of just 17% from the 2000 census. Sunny Isles Beach is certainly growing, but at a pace that does not overwhelm the infrastructure and services that the city continually upgrades and provides. 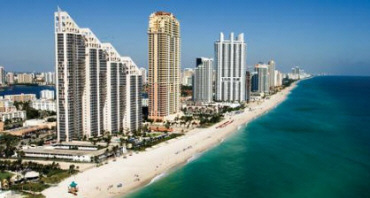 Much of the recent growth is due to the recent completion and openings of a number of the newest Sunny Isles Beach oceanfront luxury condominium properties, a number of the most recent completed luxury condominium developments are; Jade Beach, Jade Ocean and the Trump Towers I, II & III all completed and opened in 2009 and 2010. NEWEST OCEANFRONT CONSTRUCTION in Sunny Isles Beach includes The Regalia Miami and The Mansions at Acqualina (a luxury companion property to the existing Acqualina Resort & Condominium), the Chateau Beach Residences condominiums, the highly acclaimed Porsche Design Tower. and the Jade Signature, located just south of it's sister properties - Jade Ocean and Jade Beach. These 5 condominium properties are all premiere luxury oceanfront condominiums. For non-oceanfront, the most recently completed luxury condominiums in Sunny Isles Beach is the 400 Sunny Isles condominium & marina located directly on the Intracoastal Waterway and bay, just a short walk from the beach and the Oleta River State Park. 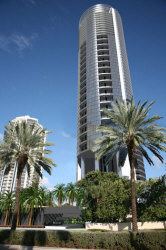 The Regalia Miami - An ultra-unique and ultra-luxury 42 story property at the north edge of Sunny Isles Beach, next to Golden Beach. Each floor is a single 5,515 sq. ft. under air luxury residence with 2,100 sq. 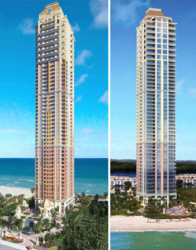 ft. of 360 degree wraparound terrace - Just 39 full floor oceanfront residences!. Features a 2-story beach home and a top floors 4-story penthouse. Opened in 2014. The Mansions at Acqualina - A 46 story building offering just 79 luxury condominium residences and penthouse homes (2 residences per floor, from 4,000 sq. ft. for 2 bedroom residences. 2 to 4 bedrooms available with sq. ft. average of over 4,500. The entire top floor is home to a one-of-a-kind 16,000 sq. ft. penthouse home. Prices* from $6m to over $50m for the top floor penthouse home. Opened in early 2016. The Porsche Design Tower - A one-of-a-kind 57 story oceanfront condominium offering just 132 luxury condominium residences with 3 to 5 bedrooms ranging in size from 3,800 sq. ft. to over 9,500 sq. ft. Glass enclosed elevators take you and your car to your luxury condominium, the robotic parking system then parks your car in your own private garage directly next to your condominium home. Opened in 2017. 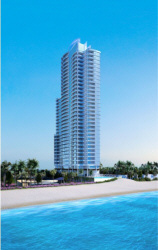 The Chateau Beach Residences - A 33 floor luxury property offering just 84 residences. 2 to 4 bedroom luxury condominiums ranging in size from 1,488 sq. ft. to over 9,300 sq. ft. for select penthouse homes. Price ranges from $1.1m to over $3.7m for select penthouse homes. Opened in 2014. 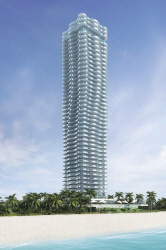 Jade Signature - A 55 story luxury oceanfront condominium with just 224 condominium residences and penthouse homes. Floor plans range from 1 bedroom to 5 bedroom plans, ranging in size from 1,400 sq. ft. to over 4,600 sq. ft. Select penthouse home floor plans are much larger at 6,000 sq. ft. to over 10,000 sq. ft. Opening NOW - Spring 2018. Sunny Isles Beach - "The City of Sun and Sea", is located on a barrier island in the northeast corner of Miami-Dade County, bounded by the Atlantic Ocean on the east and the Intracoastal Waterway on the west. Golden Beach lies to the north, Haulover Park and then Bal Harbour are immediately to the south. Sunny Isles Beach is midway between downtown Miami and Fort Lauderdale with easy access to business centers, entertainment, sports and recreational facilities, and tourist attractions. Residents and visitors can fly into either Miami International or Fort Lauderdale / Hollywood International airports, or cruise into the Port of Miami or Port Everglades and be in Sunny Isles Beach within 20 to 30 minutes. Many vacationers visit Sunny Isles Beach annually to enjoy the 2½ mile-long fine sand beach and outdoor amenities such as water sports, boating, fishing, and tennis, as well as the abundant shopping, dining and entertainment options nearby. The landmark fishing pier is a local favorite while the beautiful Samson Oceanfront Park provides a children's play area and space to relax; meet friends, enjoy the sunrise and so much more. The city is experiencing a major redevelopment renaissance on the ocean side of Collins Avenue, the main thoroughfare. Zoning laws ensure that view corridors and beach access pathways will always offer residents a life with a view and easy access to the beach and ocean. To the west of Collins Avenue, the city is building parks, upgrading the infrastructure and laying the groundwork for future redevelopment. 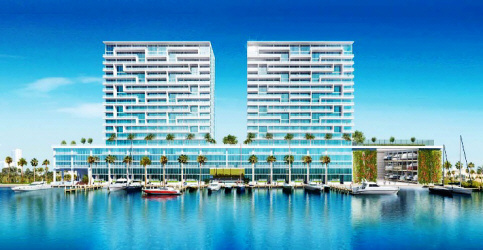 The emphasis of most of the redevelopment is on luxury oceanfront condominiums and waterfront new home construction. The city is steadily replacing outdated motels with luxury residential oceanfront and waterfront developments. You can obtain additional information on the city of Sunny Isles Beach by viewing the cities official website - www.sibfl.net Climate - Steady tropical breezes keep the winters moderate and the summers cool. "For all your Sunny Isles Beach & Greater Miami Beach Realty needs"